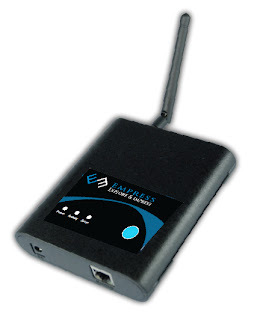 Hong Kong RFID is going to introduce a new product to the Empress™ Reader family: EM02. Empress™ EM02 (P/N: To be confirmed) is the second generation Empress™ Reader. EM02 will have several improvements. First, the metal case of the Empress™ reader will be changed to lighter and more durable plastic casing. Second, the panel at the side of the reader is now located on the topside for more convenient operation. The new reader will be more stylish with more user-friendly design. Third, on top of the traditional “gain setting” function provided by all Empress™ Readers, a “signal strength” function is now in place on the new Empress™ EM02. The new EM02 reader works well with Hussar™, Garrison™ and Tempcorder™ tags in providing more functionality and information for different applications. Different application services will be launched for this new reader EM02 in the coming year and more functional upgrades may come as we further develop our product series. Let’s look forward to the details of the EM02 new reader and its new functions to come upon its launching date.